Guests who choose to stay in The Gregory Hotel’s Ultimate Sleep Room will spend the night in a room that’s decked out with one purpose in mind: helping vacationers get those all-important, high-quality Zzzs. 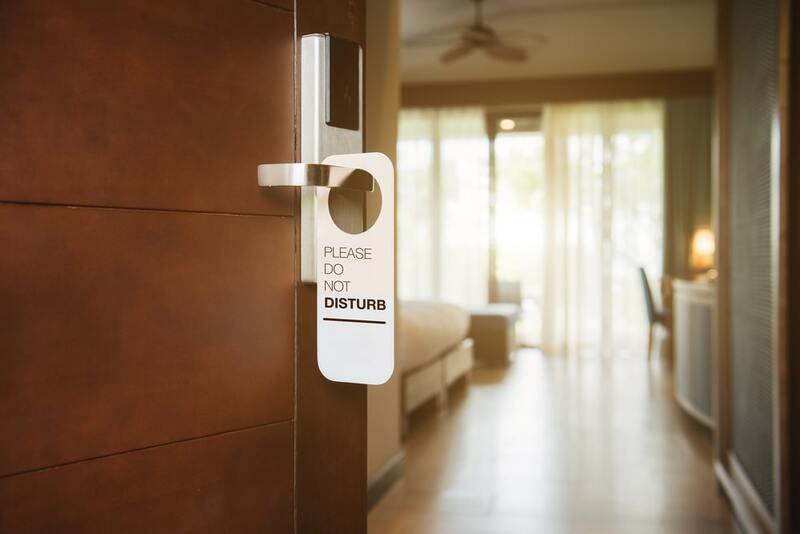 As part of the offering, guests of the New York City-based hotel will have an opportunity to utilize a number of sleep-promoting products, including extra-comfy bedding, a weighted blanket, sleep-inducing ice cream, and CBD products. Here’s a closer look at what’s in store for guests who choose to stay in the Ultimate Sleep Room. GoodNight Lighting Science, which features spectrum technology and A19 LED bulbs to purportedly support circadian rhythms and deep sleep. Nightfood “sleep-friendly ice cream,” which was designed by sleep scientists to include sleep-supporting ingredients and leave out ingredients that might interfere with sleep. Rather than include sleep aid additives, Nightfood boasts a carefully curated balance of minerals, protein, fiber, enzymes, and amino acids. CBD products from Come Back Daily, which may help provide relief from anxiety and depression and thus facilitate falling and staying asleep. The Gregory Hotel Mattress, which features Beautyrest® Pocketed Coil® technology for comfort and support and AirCool® Gel-Infused Foam for temperature regulation. In addition to promoting a cool, comfortable night’s sleep, the mattress also features a number of eco-friendly qualities in its design. Valley Forge sheets, which have a silky, luxurious feel, moisture-wicking properties to ensure a cooler sleep, and an eco-friendly design. The sheets are made with Tencel+Plus™ Lyocell fibers derived from eucalyptus and other botanicals and then blended with cotton. The Living Fresh Linens are the only linens that currently carry the designation USDA BioPreferred under the USDA Biobased certification program. SensorPEDIC Quilted Memory Foam Cluster Pillows, which are meant to provide breathable, moisture-wicking comfort and support. The pillow features Nanotex Coolest Comfort Technology to help prevent guests from overheating as they sleep. That experience is available to guests for $199/night and runs through April 10. This post was originally published on April 9, 2019. It was updated on April 11 to reflect additional input from our source.